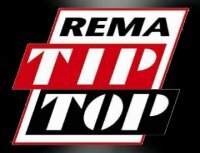 REMA TIP TOP COMMERCE ltd. is the official representative of REMA TIP TOP AG - leader in the field material processing, surface protection and automotive tyre repair solutions. We are a commercial entity that offers technical and maintenance services, which are closely matched to the client's needs. For more that two decades REMA TIP TOP COMMERCE has continually serviced the largest comapnies in the mining, metalurgical and chemical industry as well as companies in the energy and transportation field. We believe in nurturing a working environment that is built on trust and commitment and building long term partnerships with our clients.